Pure Kenya Purple Whole Leaf is expected in May. Kenya Purple Leaf Tea is naturally Purple because of the content of anthocyanins found in other purple plants like blueberries, mulberry, plums, eggplants, violet peppers, etc. Similar to regular teas, Purple Tea is very healthy while having a low caffeine level. As all Kenya Teas, Purple Leaf is growing without use of any chemicals. Kenya Estates don't use pesticides and herbicides, because pests typically damage tea crops aren't found at their high altitudes. Instead, the estates use Nitrogen as a natural fertilizer making them almost organic by default. As a further way of improving yield, every 25 years, fields are left fallow for 2 years as and replanted. 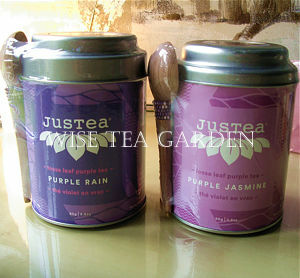 IN STOCK: JUSTEA® Purple Jasmine, Purple Rain. 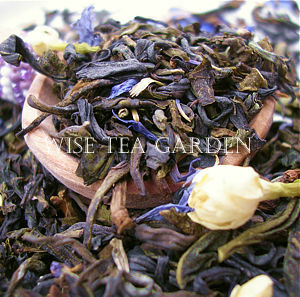 PURPLE JASMINE Profile: With slightly Pinkish infusion, a perfect Jasmine Green Tea. Refreshing and moody. PURPLE RAIN Profile: Indulge yourself with a perfect cup of vitamin C - one of the greatest antioxidants. Infusion: Dark Purple. 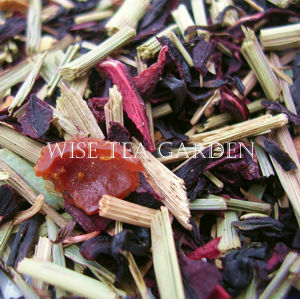 Ingredients, Purple Jasmine: Jasmine Green Tea, Kenya Purple Leaf Tea, Jasmine Blossoms, Cornflower Blossoms. Ingredients, Purple Rain: Organic Lemongrass, Kenya Purple Leaf Tea, Hibiscus, Apple Pieces, Rosehip, Natural Passion Fruit Flavour.